People who have co-occurring disorders have to wage a war on two fronts: one against the chemical substance (legal or illegal, medicinal or recreational) to which they have become addicted; and one against the mental illness that either drives them to their drugs or that developed as a result of their addiction. Treatment requires a careful battle to save both mind and body, but quality options exist, and recovery is always possible. This guide to co-occurring disorders looks at the questions of what, why, and how a drug addiction and a mental health illness overlap. Nearly 9 million people have both a substance abuse disorder and a mental health condition, where one feeds into the other, according to the Substance Abuse and Mental Health Services Administration. Only 7.4 percent of such people receive the treatment they need, and 55.8 percent of people with a co-occurring disorder do not receive any form of treatment at all. The National Alliance on Mental Illness estimates that around 50 percent of those who have significant mental health disorders use drugs or alcohol to try and control their symptoms. Approximately 29 percent of everyone who is diagnosed with a mental illness (not necessarily a severe mental illness) also abuse controlled substances. The figures are quoted by Psych Central, which also states that different drugs and different mental health disorders affect different people in different ways, because there are any number of factors that can determine how and why people develop disorders, and react to those disorders, in the ways they do. Offering an answer to the question of why people respond to drugs in such different ways, Slate magazine suggests that a combination of psychological, neurochemical, and environmental factors make each person’s approach to drugs and mental health unique, meaning that how each person is affected by a drug and mental health problem is similarly unique. These dynamics are broadly covered by a paradigm known as the stress-vulnerability coping model of mental illness. The stress-vulnerability model tries to give some context to co-occurring disorders, by looking at how stress and biological factors combine to lead to the development of substance abuse and mental illness in the same person. Consider the concept of biological vulnerability: Is the individual in danger for a mental health disorder later in life because of physical issues? For example, Medscape warns that the mental health risks of diabetes are “underrecognized,” as 6.7 percent of the general population of the United States have major depressive disorder, but the rate among people who have type 1 or type 2 diabetes is twice that. Similarly, in people who had childhood asthma, the Journal of Asthma writes that such people have a higher likelihood of developing depression and anxiety than children who did not have the respiratory condition. While cautioning that the causality is not established, “parental stress appears to be an important factor.” Other factors include parental nicotine addictions, tobacco smoke in the environment, and even parental mental health conditions. Other biological vulnerabilities can include genetics, prenatal nutrition, mental and physical health of the mother, or any complications that arose during birth (babies born prematurely have a heightened risk for developing schizophrenia, depression, and bipolar disorder, writes the Brain & Behavior Research Foundation). Children who witness or experience traumatic events in their early childhood (such as domestic violence, spousal abuse, or physical or sexual abuse) grow up with behavioral, emotional, and cognitive problems, some of which can manifest decades later. The American Psychological Association explains that stress can have numerous effects on the body, striking the musculoskeletal system, the respiratory and cardiovascular systems, the endocrine system (kidney and liver), and even the digestive and reproductive systems. It should come as no surprise, then, that the biological vulnerability of a person can be increased as a result of stress caused by financial or domestic problems, according to the National Institute of Alcohol Abuse and Alcoholism. People who have pre-existing mental health conditions can see those disorders made worse because of stress at home or in the workplace, which, as explained by the journal Psychopharmacology, perpetuates both drug abuse and relapse. It should be noted that stress does not only develop from negative or unwelcome situations. Getting a new job or having a baby may be desired, but both bring overwhelming and intimidating levels of responsibility that can cause chronic pain, heart disease, or high blood pressure; or, as explained by CNN, the hardship of raising a first child can be greater than the stress experienced as a result of unemployment, divorce, or even the death of a partner. The “drop in happiness” was felt by 90 percent of couples who told US News & World Report that the quality of their relationship declined after the birth of their first child. Men are more prone to the development of a co-occurring disorder than women, possibly because men are twice as likely to take dangerous risks and pursue self-destructive behavior (so much so that one website asked, “Why do men take such dumb risks?”) than women. Women, on the other hand, are more susceptible to the development of depression and stress than men, for reasons that includebiology, sociocultural expectations and pressures, and having a stronger response to fear and traumatic situations than do men. Because of this, the Journal of Psychiatric Research writes that women are twice as likely to develop post-traumatic stress disorder than men, and up to three times more likely than men to become addicted to drugs or alcohol in the aftermath of an event that causes post-traumatic stress disorder. Cases of physical or sexual abuse in adolescence (more factors that fit in the biological vulnerability model) were seen to greatly increase that likelihood, according to the Alcohol Research & Health journal. More than 20 percent of veterans with PTSD also have a co-occurring substance abuse disorder. Almost 33 percent of veterans who seek treatment for a drug or alcohol addiction also have PTSD. Veterans who have PTSD are twice as likely to smoke cigarettes than veterans who do not have PTSD (6 out of 10 for the former, 3 out of 10 for the latter). One in 10 veterans returning home from the wars in Iraq and Afghanistan is dependent on drugs or alcohol. Co-occurring disorders do not only occur when illegal drugs are used. The symptoms of prescription opioid abuse and certain symptoms of post-traumatic stress disorder overlap at a certain point, enough for there to be a link between the two and considered co-occurring disorders. For example, The New York Times describes how one of the key symptoms of PTSD is agitation: People with PTSD are always tense and on edge, costing them sleep and peace of mind. For those who are dependent on their opioid medication, Advanced Biomedical Research writes that naltrexone (sold under brand names like ReVia and Vivitrol) can cause agitation-like symptoms if the drug is used improperly. To that effect, a study by the American Journal of Drug and Alcohol Abuse of 573 people being treated for drug addiction found that taking prescription opioids (codeine, Duragesic, Vicodin, OxyContin, Percocet, etc.) “was significantly associated with co-occurring PTSD symptom severity.” Women were three times more likely to have such symptoms and a prescription opioid use problem, largely due to biological vulnerability stress factors mentioned above. The researchers in the journal concluded that the abuse of prescription opioids is a risk factor for co-occurring post-traumatic stress disorder, especially in terms of severity. The Journal of Clinical Psychiatry writes that between 68 percent and 84 percent of cocaine users experience paranoia (illogically distrusting others, or even believing that their own family members had been replaced with imposters). 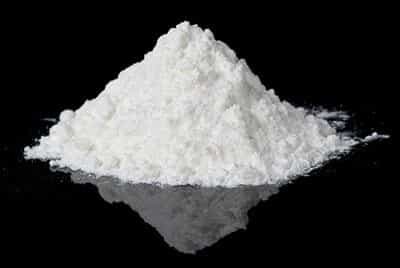 Of patients who took lethal doses of cocaine (minimum 1.2 grams), 7 percent were so savagely delirious that they had to be restrained. Since treating a co-occurring disorder entails addressing both the substance abuse problem and the mental health dynamic, a proper program of recovery would integrate methodologies from both approaches to heal the person. It is from that mindset that the integrated treatment model was devised. The primary way the integrated treatment model works is by showing the individual how drug addiction and mental health problems are bound together, because the integrated treatment model assumes that the person has two mental health disorders: one chronic, the other biological. Antisocial personality disorder that occurs in alcoholics, for example, is characterized by individuals persistently and compulsively lying about alcohol abuse, so much so that they may delude themselves into feeling that alcohol has no effect on them at all (people who are alcoholics are 21 times more likely to be diagnosed with antisocial personality disorder than people who drink in moderation or people who do not drink at all). The integrated treatment model would work with individuals to develop an understanding about dealing with difficult scenarios in their real-world environment, in a way that does not drive them to substance abuse. It does this by combining the standard system of treating serious psychiatric disorders (by examining how harmful thought patterns and behavior can be changed into a more positive expression), and the 12-Step model (pioneered by Alcoholics Anonymous) that focuses more on substance abuse. The National Alliance on Mental Illness explains that the integrated treatment model still calls on individuals with co-occurring disorders to undergo a process of detoxification, where they are gradually weaned off their addictive substances in a medical setting, with doctors on hand to assist in the process. Detox is a psychologically and physically stressful process, one that should not be attempted solo or at home, but it does purge the individual of the physical craving for more drugs and alcohol. When this is over, and after the person has had a period of rest to recover from the experience, treatment is turned over to a therapist. 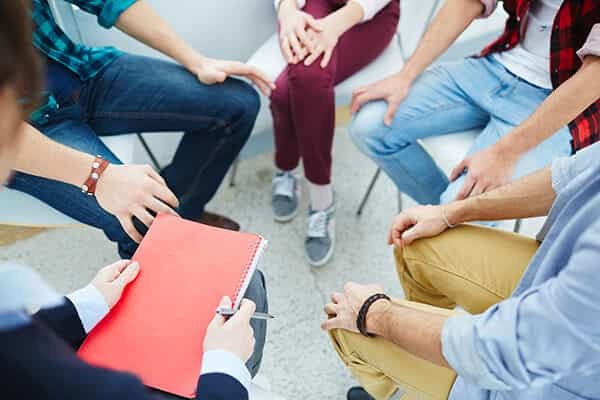 Using the traditional behavioral-change approach of treatment methods like Cognitive Behavioral Therapy, the therapist will work to help the person understand the relationship between substance abuse and mental health issues. By presenting recovery as a tangible and desirable goal (even simple things like getting a job, volunteering in the community, or losing weight), the person is given a lifeline that helps to put the co-occurring disorders in context. Working a person through the integrated treatment model can take a long time, as some people may compulsively resist the therapeutic methods as a result of their mental illnesses. The therapist may need to spend many sessions breaking down each individual barrier that the co-occurring disorders have erected around the individual. The results, however, are worth the effort. The integrated treatment model reduces the chance of relapsing both into drug use and mental health issues. People who complete the treatment program have a significantly smaller chance of being arrested because of their drug and behavioral problems. The model also promotes goals of stable housing and independent living, giving individuals something to aspire towards, rather than something to simply run away from. In this way, people who struggle with the twin burdens of a substance abuse problem and a mental health disorder can effectively recover and have hope for their futures.